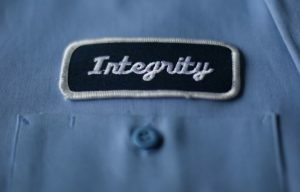 At Domestic we believe in treating our rental uniform and facility service customers the way we want to be treated – with respect, trustworthiness, and integrity. Our entire team is dedicated to continually exceed our customers’ expectations including complete deliveries, weekly fulfillment from our garment stockroom, timely repairs/upgrades, and prompt response to all inquiries. 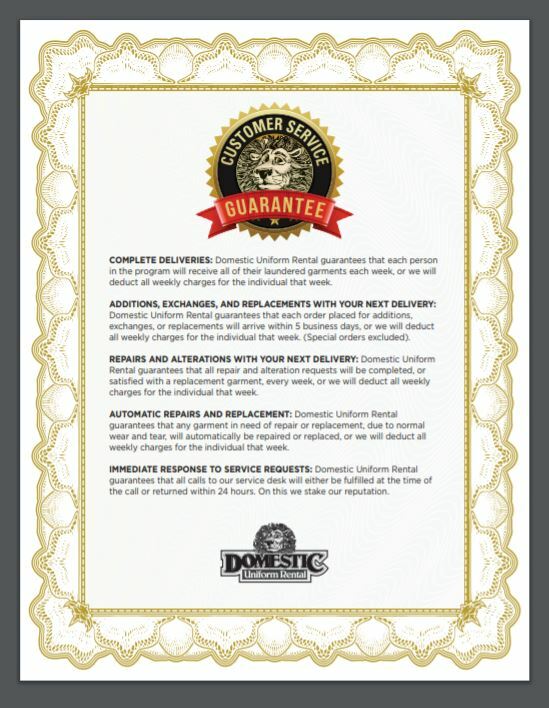 We are so confident in the quality of our products and services that we are the only company in the industry to back it all up with a written 100% Service Guarantee.